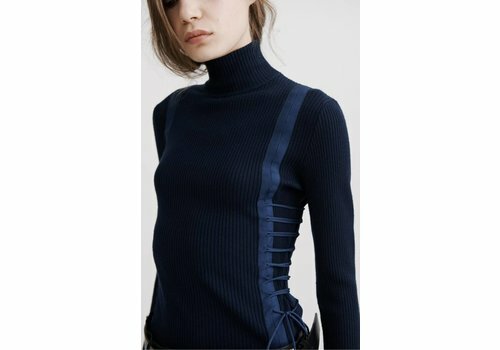 The Aviation Laced Skivvy from Dion Lee is a long sleeve, high neck ribbed knit top with lacing detail. 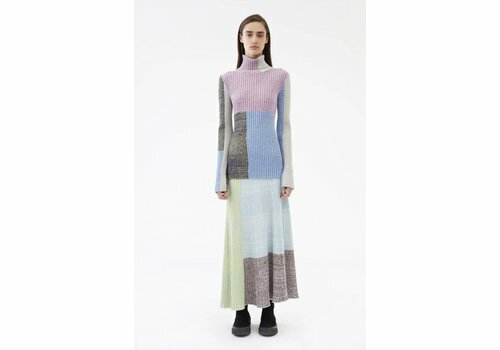 Long sleeve turtleneck from the runway produced from corrugated knit stripes. 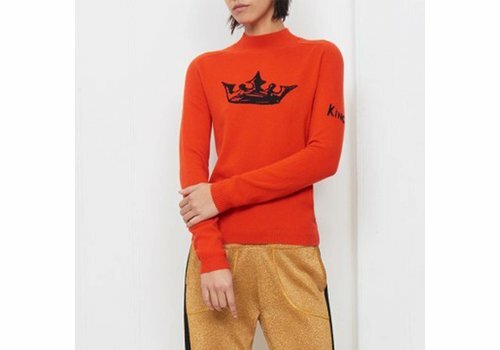 This fine gauge Cashmere turtle neck sweater by Bella Freud features a ribbed neck, hem and cuffs with crown intarsia and 'King' detail on sleeve. 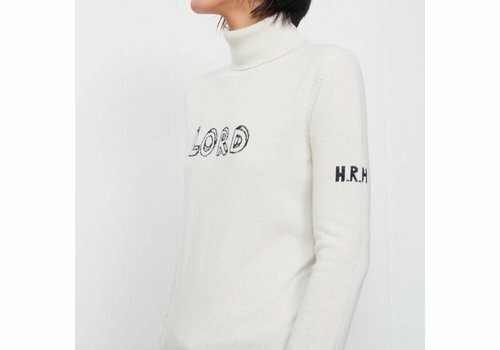 This fine gauge Cashmere turtle neck sweater features a ribbed neck, hem and cuffs with 'Lord' Intarsia and 'HRH' detail on sleeve. 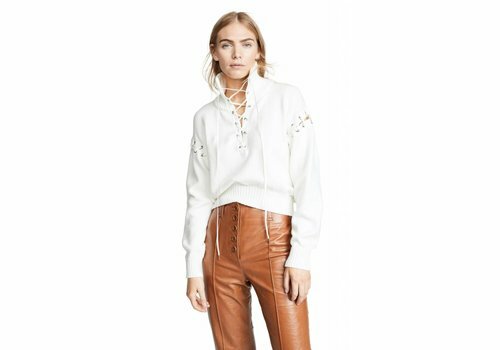 The Adeam Lace Up Knit Sweatshirt features ribbed knit trim, lace up detail, long sleeves and waist length pullover style.